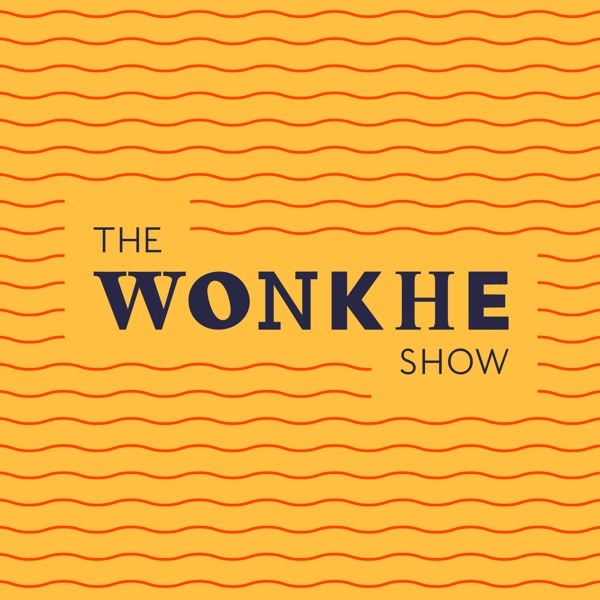 The Wonkhe Show - the higher education podcast | Listen Free on Castbox. Every week the Wonkhe team and guests from across higher education dissect the week's big policy developments, and we also feature interviews, features and views from around the sector. On the podcast this week we discuss HE minister Chris Skidmore's recent speech and comments that give us clues about what will happen next with fees and funding. We also chat access to research, the fall out from the Warwick WhatsApp case, the mega donation to Cambridge and the latest from our bloggers. And on the Hidden History of HE we look at the first commuter universities.With Andy Westwood, Vice Dean for Social Responsibility at the University of Manchester, Selena Bolingbroke, Lead for External Engagement & Strategic Development at Goldsmiths University of London and Wonkhe’s Associate Editor, Minto Felix. This week our guests look back at the Christmas silly season and ahead to 2019, as well as discussing Onward's report on low value courses, and HEPI's new paper on grammar schools. Plus the first of Mike Ratcliffe's new series on the Hidden History of HE, and highlights from our contributors.With Shakespeare Martineau partner Smita Jamdar, the University Alliance's Head of Policy Graeme Wise, and Wonkhe's founder and CEO, Mark Leach. It's our Christmas Clip Show Student Snowflake Special! There's been a lot of activity on the freedom of speech agenda this term, and in this festive compilation wonks from across the sector analyse the issues.With Smita Jamdar, Charles Heymann, Chris Shelley, Selena Bolingbroke, Greg Walker, Amanda Chetwynd-Cowieson, Shân Wareing, Andrew Berwick, Pete Quinn, Eve Alcock, Louis Coiffait, David Kernohan and Wonkhe's editor and founder Mark Leach. The Office for Students has published results of its Access & Participation consultation, and there’s a fresh batch of UCAS data for the panel to look at. There’s an interesting new report out on commuters. Plus this year’s social mobility index, and the latest from our contributors.With Clare Marchant, CEO at UCAS; Richard Eyre from the Brilliant Club and Wonkhe’s own Arthi Nachiappan. Sam Gyimah has gone, replaced by Chris Skidmore as universities and science minister. The panel also discuss new figures out on student rent, an inquiry into racial harassment in HE and a new campaign from Universities UK.With Amatey Doku, Vice President Higher Education at NUS; sector expert Mary Curnock Cook; and Wonkhe's founder and CEO Mark Leach. This week our panel discuss the the latest stats from UCAS on the impact of offer making on exam attainment, a new report on women in HE leadership, and an interesting new idea on funding HE. Plus new stats on graduate earnings and highlights from our contributors.With Johnny Rich, Chief Executive of Push and the Engineering Professors’ Council; Rosie Tressler, Chief Executive of Student Minds, and Wonkhe’s associate editor David Kernohan. This week our panel discuss the Public Accounts Committee’s view on the sale of student loans, the latest report from HEPI on making clear how fees and spent, and Government proposals for accelerated degrees. Plus Jonathan Haidt’s book tour, and the latest from our contributors.With Pete Quinn, HE Consultant; Eve Alcock, President of Bath SU; and Wonkhe’s associate editor Louis Coiffait. This week on the podcast our panel discuss ongoing concern about the state of the sector's finances, the impact of Brexit on HE, and new research into what the public think about higher education. Plus student rights on overseas campuses, and the latest from our contributors.With David Morris, Vice Chancellor's Policy Officer at the University of Greenwich; and Jim Dickinson, Associate editor at Wonkhe. 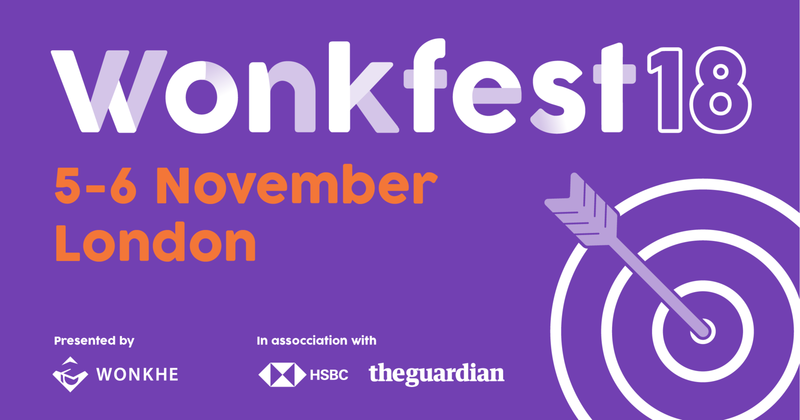 This week in a specially recorded live episode from Wonkfest18, our panel discuss leaks from the Augar review, the OfS' view on uni bailouts and minister Sam Gyimah's student information apps.With Anne-Marie Canning- Director of Social Mobility and Student Success at Kings, Paul Greatrix- Registrar at Nottingham University and Wonkhe's editor and founder Mark Leach. The full recording of Sam Gyimah in conversation - live at Wonkfest18.